Some drop-side cribs were recalled after two infants died. The Consumer Product Safety Commission has announced one of the largest crib recalls in history after dozens of infants were hurt or killed -- including a 9-month-old baby in the Bronx. The recall focuses on the potential danger of drop side cribs and an issue called "detachment" which can bruise or trap a baby or toddler. The CPSC, in cooperation with Stork Craft Manufacturing Inc., said the recall was voluntary and affects 2.1 million Stork Craft drop-side cribs, including about 147,000 Stork Craft drop-side cribs with the Fisher-Price logo. The recall involves approximately 1.2 million units distributed in the United States and nearly one million units distributed in Canada. The cribs' drop-side plastic hardware can break, deform, or parts can become missing, the CPSC said. In addition, the drop-side can be installed upside-down, which can result in broken or disengaged plastic parts. All of these problems can cause the drop-side to detach in one or more corners, the statement said. The CPSC said it is aware of 110 incidents of drop-side incidents, including 15 entrapments. Four of the entrapments resulted in suffocation -- among the tragedies: a 7-month-old in Gouverneur, N.Y. and a 9-month old baby in the Bronx. Another 20 babies have fallen from their cribs. Fall injuries ranged from concussion to bumps and bruises, the CPSC said. 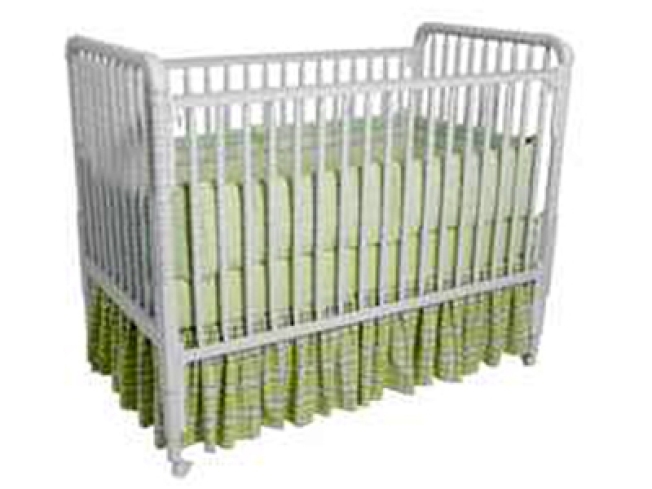 This recall includes Stork Craft cribs with manufacturing and distribution dates between January 1993 and October 2009. Major retailers in the U.S and Canada sold the recalled cribs including BJ's Wholesale Club, J.C. Penney, Kmart, Meijer, Sears, USA Baby, and Wal-Mart. Nearly 5 million cribs have been recalled over the past two years. In one horrifying incident, For example, a ten-month-old baby died in his crib with drop-down sides when he got his head stuck between the side rail and the headboard and was strangled.